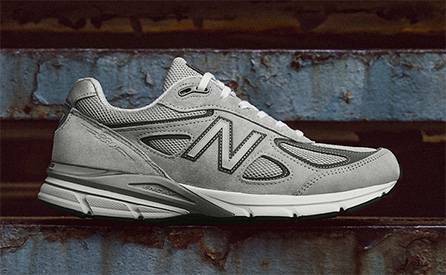 Since the days of selling arch supports to police officers and waiters, New Balance has been a brand concerned with meeting the needs of the everyday athlete. Part of producing superior footwear and athletic apparel is manufacturing it to fit all widths and sizes, because a better fit produces better performance. Because they make shoes in wide widths, narrow widths, and large sizes, New Balance has a shoe to fit just about anyone! To ensure the best fitting, best performing shoes, New Balance focuses on improving their technology and production methods. 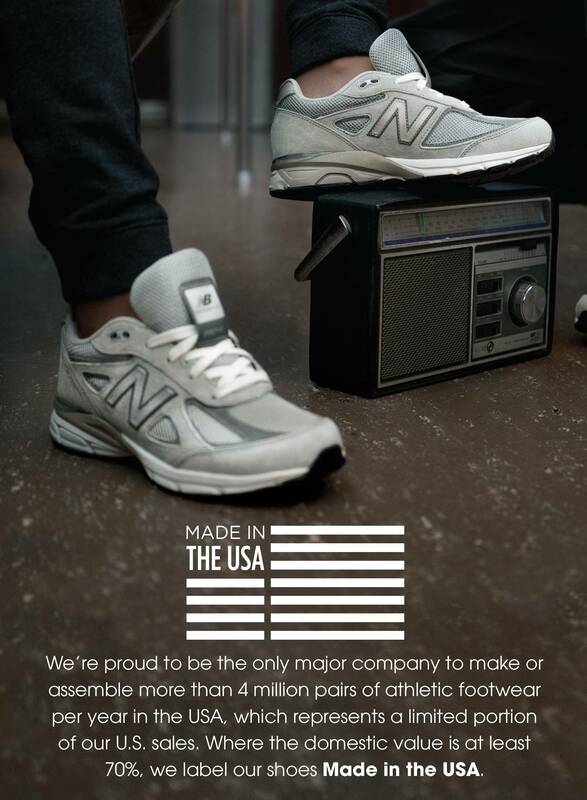 New Balance has maintained five manufacturing facilities in New England where they continue to rely on the skills and teamwork of their American workforce to produce a percentage of their athletic footwear. They have also remained strongly committed to a core set of company values that include integrity, teamwork and total customer satisfaction. Foot problems or pain? New Balance shoes can help! New Balance is not only an athletic shoe company, they are a go-to shoe for many people with foot problems. They produce many of the recommended shoes for conditions such as plantar faciitis, PTTD (fallen arches), diabetes, arthritis, heel spurs, metatarsalgia, and Morton’s Neuroma. Many of their models come in multiple widths to accommodate a variety of foot shapes and sizes. 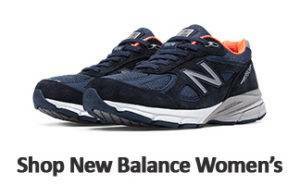 New Balance carries a large selection of diabetic shoes for person’s with diabetes. The importance of a properly fitted shoe for someone with diabetes is paramount to overall foot health. 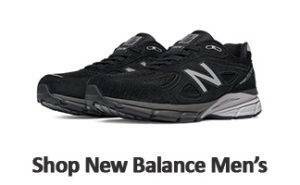 Whether you are looking for a casual shoe, walking shoe, everyday shoe, or running shoes; New Balance has many styles to fit your needs. Having a properly fitted shoe is what New Balance Athletic Shoe Company is all about. At Lucky Feet Shoes, each staff member is a New Balance Pro Care Fit Specialist. They are fully trained in the features and benefits of New Balance products and have extensive knowledge of foot anatomy and biomechanics. Whether you are a performance runner or an avid walker, our staff will help fit you with the best possible New Balance shoes to meet your needs! Come into any one of our stores, located in Anaheim Hills, Rancho Cucamonga, Riverside, San Dimas and Temecula, today and try on a pair of New Balance shoes! At Lucky Feet Shoes, we carry many of the New Balance running shoes, wide shoes, walking shoes and athletic shoes in our stores in Southern California. If you are looking for New Balance shoes in Orange County, the Inland Empire, Los Angeles County, Temecula, Riverside or La Quinta, we have six stores to serve you! If you are looking for New Balance shoes in Anaheim, Anaheim Hills, Yorba Linda, Brea, Orange, Placentia, Fullerton, Irvine, Villa Park or Tustin; visit our store in Anaheim Hills. See store on map. If you are looking for New Balance shoes in San Dimas, Glendora, Pomona, Covina, West Covina, La Verne, Azusa, Diamond Bar or Claremont; visit our store in San Dimas. See store on map. If you are looking for New Balance shoes in Rancho Cucamonga, Ontario, Upland, Fontana, Rialto, Chino, Chino Hills, Mira Loma, Eastvale, Colton or San Bernardino; visit our store in Rancho Cucamonga. See store on map. If you are looking for New Balance shoes in Riverside, Moreno Valley, Corona, Rubidoux, Loma Linda, Grand Terrace, Redlands or Norco; visit our store in Riverside. See store on map. If you are looking for New Balance shoes in the Temecula Valley, Murrieta, Fallbrook, Lake Elsinore, Wildomar, Hemet, San Jacinto, Pala, Sun City, Menifee, Canyon Lake, Perris, Bonsall or Anza; visit our store in Temecula. See store on map. If you are looking for New Balance shoes in Palm Desert, Desert Springs, Palm Springs, Indio, Coachella, Thermal, Vista Santa Rosa, Rancho Mirage or Bermuda Dunes; visit our store in La Quinta. See store on map.